You will be a billionaire! You will receive an inheritance or you will sell the company you've been forming for a hefty sum of money! This means you can invest in other companies, organizations and people who you want to support. Money is a continuum and because you will gain so much of it, you will feel good about giving it away. You will become wealthy through a business venture. Most likely one you started yourself. A million dollars means you probably won't have to worry much about money and that leaves you free to worry about more important things in life. You will be able to live comfortably. You won't be filthy rich, but you be dirt poor either. You've worked hard for your money and you've earned a comfortable, pleasant life of leisure. You won't need to worry too much about money as long as you keep working and save your money, you'll be set! I don't know how else to put this but...you are destined to be poor! being poor isn't all bad, most of the population is poor but there is so much more to life than money. Keep working away at whatever you're doing and maybe you will make more money soon! We all dream of having oodles of cash and a house in Cape Cod. 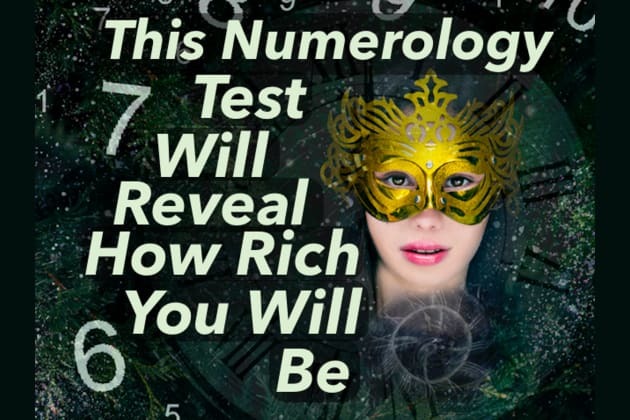 Choose some numbers and find out your financial future! The results may shock you!